Make the most of the season by outsourcing every task. In Dallas, there’s nothing more traditional than chef Stephan Pyles’ Southwestern cuisine, and, because his Stampede 66 offers Thanksgiving meals for pickup, you can enjoy creations from Pyles’ kitchen in the comfort of your own abode. Choose from turkey, fried chicken, and barbecued brisket; all dinners include such signature sides as blue corn and chorizo stuffing and sweet potatoes whipped with maple syrup and chile spices. $275 for a dinner that serves 4 to 6. For in-home fêtes between Turkey Day and Christmas Eve, hire the full-service caterer The Food Company to set up a buffet of artful dishes. Good to know: the team has become famous over the decades for their themed feasts. Popular items from this season’s Asian-inspired spread include baby lamb chops with green chile chutney and a garlicky lobster served with a lemongrass rice cake. $55-$75 per person. Need a Christmas Eve solution? Beyond the Box Catering will bring homemade holiday fare to your door the day before with heating instructions attached. Turkey, ham, cranberry sauce made with real berries—the menu is flush with the classics. Priced per person; a single serving of mango-mustard pork loin is $7.95. Employing help is a must to avoid doing dirty work the day of. Domestic Affairs can take care of everything from serving food to slinging drinks to after-feast cleanup. The event staffers will also roll in with a bar on wheels if you’re determined to get the party lit up. $40 per hour, four-hour minimum for one bartender; extra charges apply on some holidays. 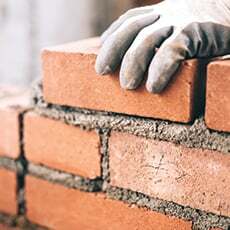 214-535-6367. domesticaffairsdallas.com. The easiest way to spruce up your Thanksgiving dinner table is to enlist Dirt Flowers to deliver a bountiful fall arrangement. 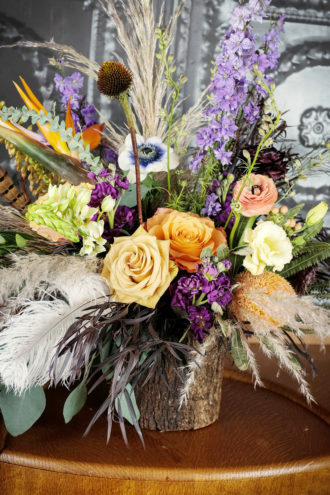 The Birdsong bouquet, a bark vase overflowing with roses, ranunculus, bird of paradise, mixed greenery, and feather accents, makes a statement. $225; $137 for a petite version. When it comes to tree trimming, interior designer Billy Milner is a virtuoso, with masterpieces appearing in Veranda and Southern Living magazines. Milner is known for integrating meaningful tokens; he once used ribbons to hang a client’s heirloom silver from her garland. See sample trees on display at his Deep Ellum gift shop, Life of Riley. $175 per foot for tree decoration. Trust Baker Design Group to refresh tired decor by adding new pieces, turning out a look that is both festive and sophisticated. The firm’s decorators visit the Christmas market each January to collect the latest in holiday trends. Pro tip: they say this year is all about blues, silvers, and flocked trees. Average prices start at $5,000 for full design and new purchases. If decorating the house is a holiday tradition that you don’t want to scrap, you can at least avoid the pain of maneuvering an evergreen through the High Five. Nicholson-Hardie Nursery will deliver trees from small tabletop firs ($50) to 15-foot stunners ($2,000) sourced from farms in Washington and the Carolinas. While you’ll start seeing signs on just about every corner for Christmas light crews, it’s always best to hire an insured, year-round expert. Jake Geary of Light It Up Dallas can make your house sparkle starting at $1,000. Or go to town with trees tightly wrapped from trunks to branches. For $15,000, your lawn can look just like the ones on the estate his team illuminates on Highland Park’s horse carriage circuit. 972-591-8383. To send extraordinary greetings without lifting a finger, commission a turnkey stationery operation to address, stamp, and deliver. Color Box Design & Letterpress hand-prints cards according to each client’s wishes (no prefab templates available) and can incorporate family photos or illustrate any scene you dream up (your pooch decked out as Rudolph—sure, why not?). Average prices range from $1,000 to $3,000. 972-743-8455. colorboxletterpress.com. Consider your gift list checked off: high-end retail Meccas such as Highland Park Village and Neiman Marcus have in-house personal shoppers available to pull gift ideas and secure purchases. Services are complimentary, so you can ask them to buy for a hard-to-please significant other or your entire extended family at no extra charge. Once you have presents in your possession, drop them off with the pros at Calligraphic Arts. The design studio has been gift-wrapping goods since 1988. Show staff pictures of your Christmas tree, and they’ll help you pick from their stock of fine papers to match—anything from classic red to leopard, European to eco-friendly—before tying it all up with loops of French wire ribbon. Prices start at $10 per gift and, for additional fees, the shop can pick up, deliver, and ship packages. It’s hard to settle into the yuletide mindset when North Texas weather allows for flip-flops well into December. Instead of heading north, hire Mr. Cool Snow Parties to pulverize pounds of ice by the thousands, thus transforming your front yard into a Scandinavian landscape. Olaf the Snowman can survive for a day in 60-degree temps. About $2,000 for 1,000 square feet of snow. 214-631-3535. dfwsnowparties.com. Surprise your crew with a visit from the official carolers of Disneyland. 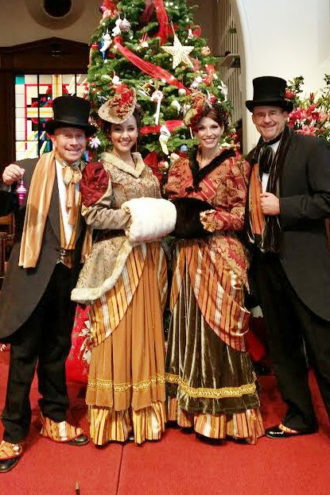 Headquartered in Dallas, the Goode Time Carolers have quartets across the nation made up of professional performers (you’ve probably seen them in commercials). The group will entertain with selections from a repertoire of 70 memorized songs, though your houseguests may be more impressed with the Broadway-worthy Victorian dresses donned by the ingénues. Prices upon request. goodetimecarolers.com. Unless you have connections at the North Pole, you’ll need to book a house call to avoid the line for a shopping-center Santa. The agency Santa for Hire has at least 15 real-beard Kris Kringles on its roster, including Santa Chuck, a banjo maker by day who takes his sideline Santa hobby so seriously, he has handmade almost every piece of his crimson velvet suit. $175 to $300 per hour, depending on the Mr. Claus. 214-886-4243. santa-for-hire.com. Another line-skipping alternative: Ivey Photography offers private, one-hour appointments at studios in Richardson and Midlothian. Photographer Chris Smith snaps away while Old Saint Nick regales children with Christmas tales, shares warm cookies, and finds their name on the “good list” (fingers crossed). Prices start at $195 for the session with a $300 minimum product purchase. Preston Rd. @ Mockingbird Ln.